Venture out of the city with trips to Deutsches Eck (German Corner) (in Koblenz), Phantasialand (in Bruhl) and Aachen Cathedral (in Aachen). There's still lots to do: admire the landmark architecture of Cologne Cathedral, don't miss a visit to Nuerburgring, take in the views from Hohenzollern Bridge, and see the interesting displays at Cologne Chocolate Museum. 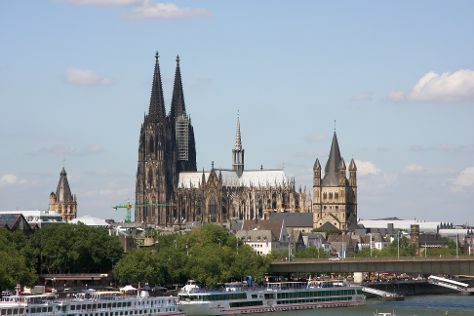 To see where to stay, reviews, ratings, and other tourist information, read Cologne vacation planner. If you are flying in from Singapore, the closest major airports are Düsseldorf International Airport, Cologne Bonn Airport, Dortmund Airport and Weeze Airport. Expect a daytime high around 28°C in July, and nighttime lows around 16°C. Wrap up your sightseeing on the 13th (Thu) early enough to travel back home.